If you are anything like us, here at Ibbleobble, we love to send text messages, there’s nothing better than receiving messages from a friend, a loved one or even someone you haven’t heard from in a while. Following the huge success of the emergence of emojis in text messages… Apple went that one step further by introducing stickers to their iMessage platform. 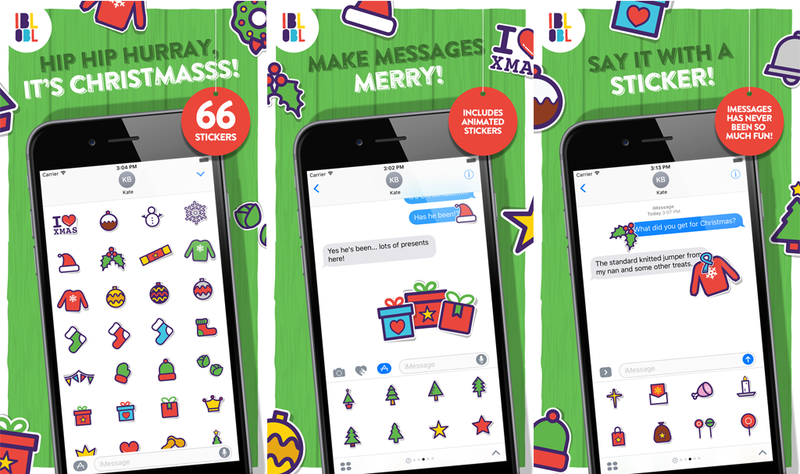 This meant you could send smiley faces and gifts in the form of a sticker – super cool! Apple then invited developers to submit their own designs whether it was an animated rose, a barking dog or even a toasted sandwich – the combinations are limitless and anything’s possible! We even decided to create our own iMessage stickers for you to enjoy. 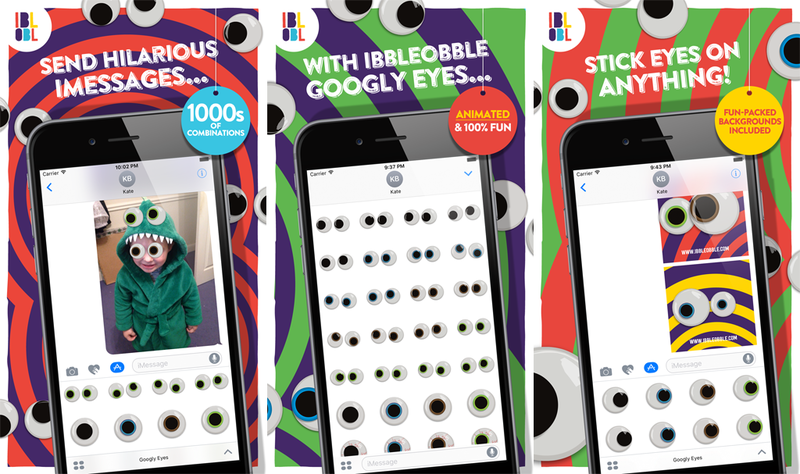 Here is a run down of our Ibbleobble apps that can be downloaded for free for the next 24 hours! Bright, bold and playful, Ibbleobble faces are perfect to sent to someone to let them know you’re thinking of them… or how about Mr Mousey’s love eyes to tell them you care? 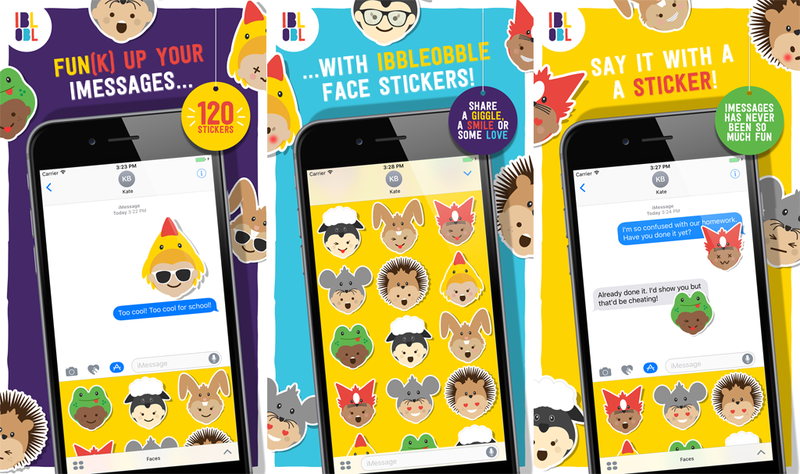 You can download Ibbleobble Face Stickers here. Inject a bit of comedy in to your iMessages by placing animated Ibbleobble Googly Eyes on photos you share. This will surely brighten someone’s day. 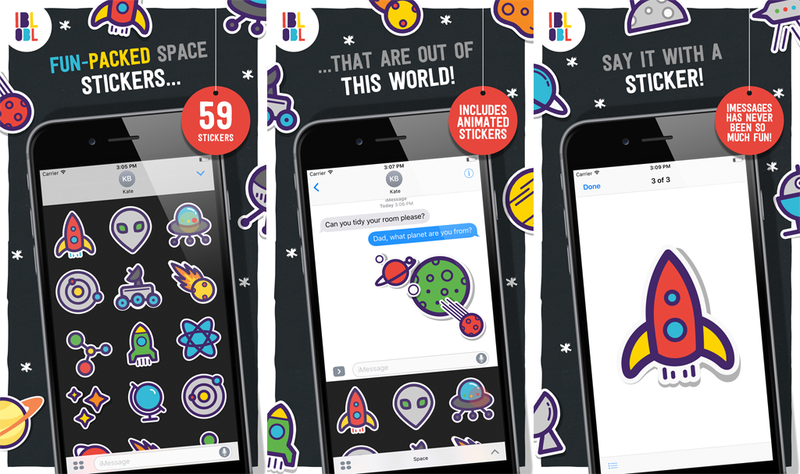 Make your iMessage conversations ‘out of this world’ with these super spectacular Ibbleobble Space Stickers to share with your cosmic companions! 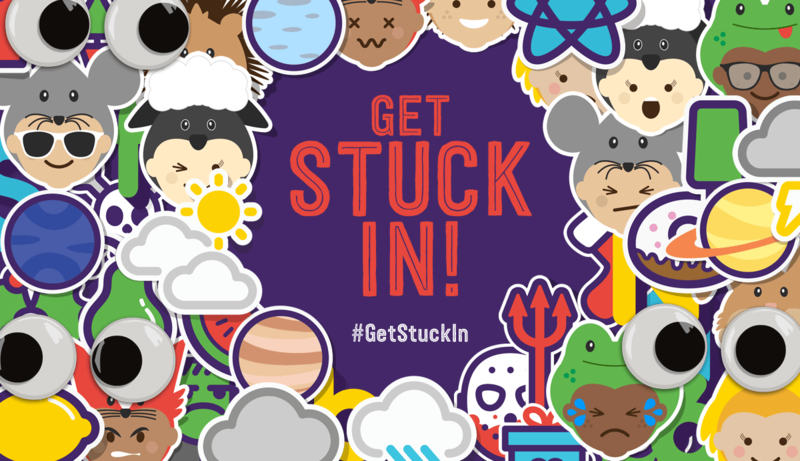 These stickers include planets from the solar system, rockets and astronauts. 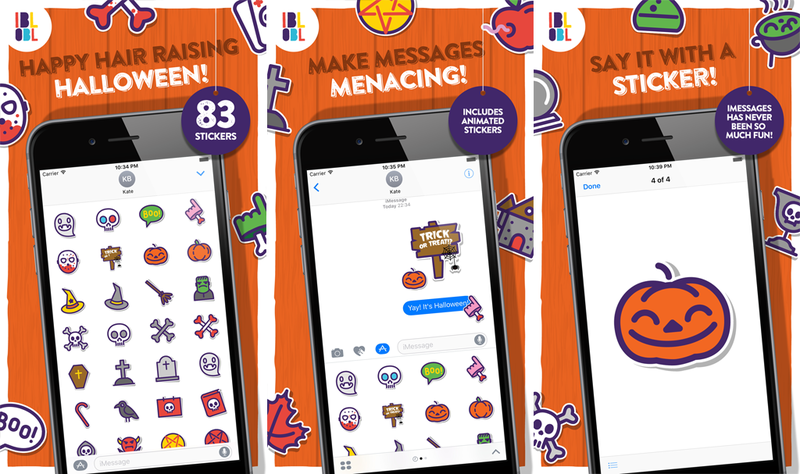 This ghoulish sticker pack that included gravestones, skulls and witches proved really popular last Halloween and as this time of year is vastly approaching, we advise you to get your download in early… or else! 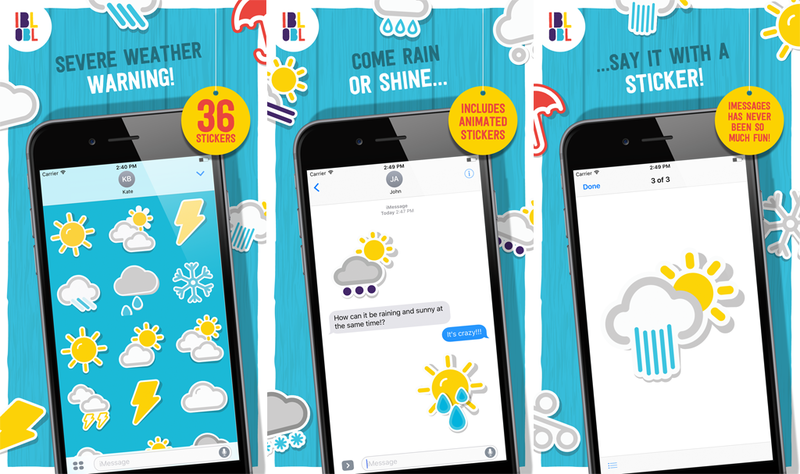 Come rain or shine, make someone’s day by sending them our fun-packed Ibbleobble Weather Stickers. There will never be a dull day using iMessage! Crunch, Munch, Slurp! 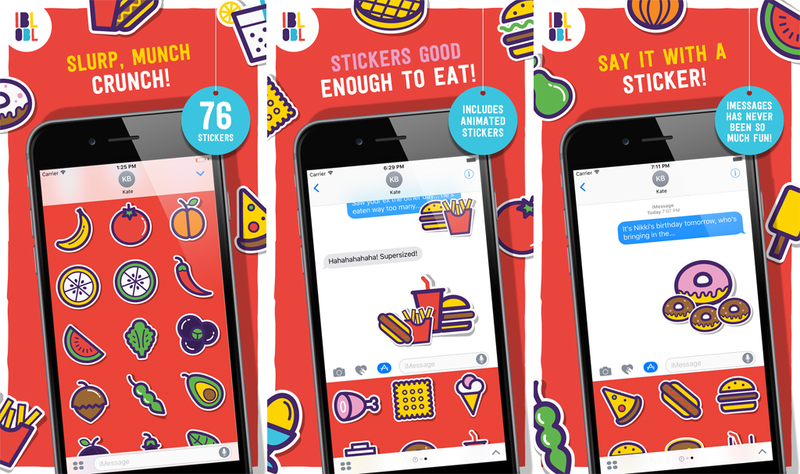 Whether you’re trying to be healthy with a yummy apple or pigging out on some fast food… let someone know by sending them an Ibbleobble Food Sticker! This sticker set is a particular favourite of ours, bringing us back to the time when we were kids rearranging the letters on our fridge! Send bespoke messages using our comprehensive digits. 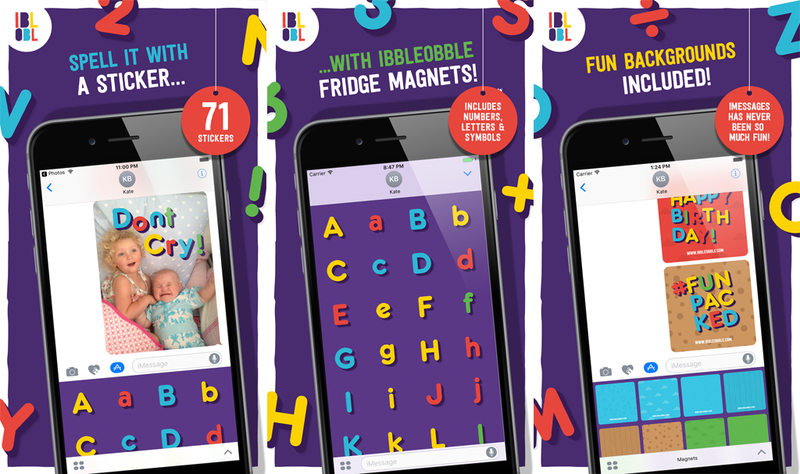 Endless fun guaranteed with Ibbleobble Fridge Magnets! Whatever sticker pack you download, we really hope you enjoy them!